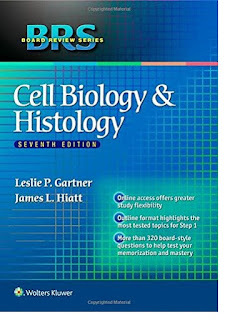 Succeed on the USMLE and course exams with BRS Cell Biology and Histology, 7e. Acclaimed for its easy-to-read, easy-to-scan outline format, this bestselling book includes over 320 USMLE-style questions (with complete answers and explanations), as well as a comprehensive USMLE-format examination at the end of the book. 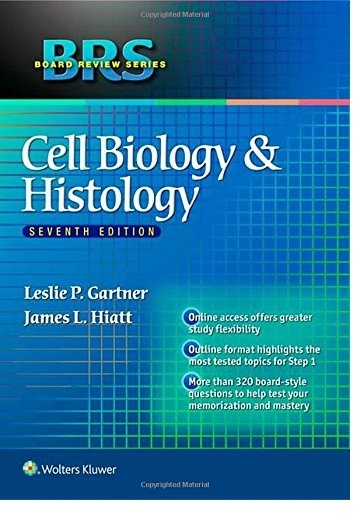 Featuring a wide range of electron micrographs, conceptual line drawings, high-yield Clinical Considerations boxes, and end-of-chapter multiple-choice review questions, this quick reference book covers the facts and concepts tested on the USMLE within the context of cell biology and histology. Offered in both print and online formats, the book will help you boost your confidence and competence and provides maximum accessibility and portability for in-class or on-the-go learning. The Board Review Series quick-scan outline format helps you maximize your study time.High-yield Clinical Considerations boxes demonstrate the connection between cell biology, histology knowledge, and clinical medicine.An easy-to-follow full-color design with conceptual illustrations and color images clarifies important concepts.Full-color tables and illustrations summarize information for easy review.More than 320 USMLE-style questions and answers help you prepare for the boards.Interactive quizzing on the free companion website provides additional practice.